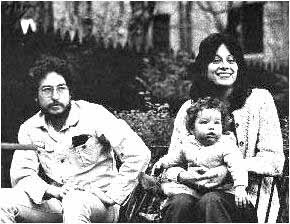 Nee Shirley Noznisky, later Sara Lownds, first met Dylan through their mutual friend Sally Grossman in 1964. They were married 22 November 1965 and divorced July 1977, though they have remained in regular contact since. They had a daughter, Maria, in 1961 or 1962? Bob Dylan married Sara Lownds on 22 November 1965. Bob and Sara divorced in July 1977. Picture of Sara and Bob. none from that era. Shabtai Zisel ben Avaraham indeed! be some kind of a getting back together. I guess that was in her mind. "'It was extraordinary. You could have heard a pin drop,' says Levy. This remarkable first take of 'Sara' became the last track on Desire." -- Sounes, Howard, Down the Highway (New York: Grove Press, 2001).